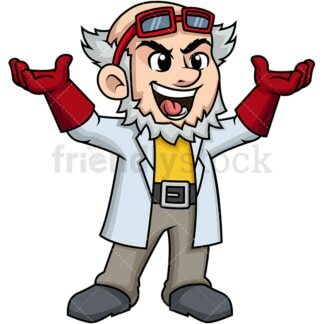 Royalty-free stock illustration of a crazy scientist cheering after a discovery. Royalty-free stock illustration of a mad scientist smiling in a creepy way while he holds a vial and a tube full with chemicals. Royalty-free stock illustration of a mad scientist showing off a vial full with a green chemical. 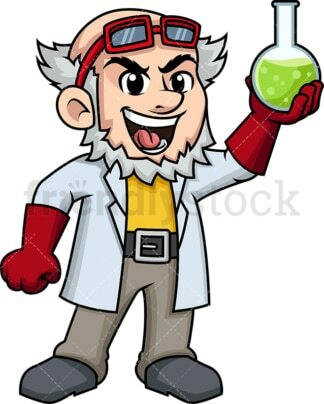 Royalty-free stock illustration of a mad scientist shouting for joy as he holds a vial with a green chemical in it. 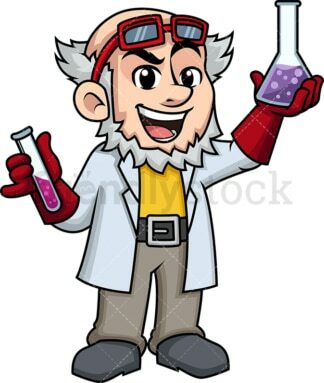 Royalty-free stock illustration of a crazy scientist holding a vial and a tube with a purple liquid in them. Royalty-free stock illustration of a mad scientist cheering as he walks while holding two vials with chemicals in them. Royalty-free stock illustration of a mad scientist looking disappointed after having conducted a failed experiment that seems to have caused a small explosion. 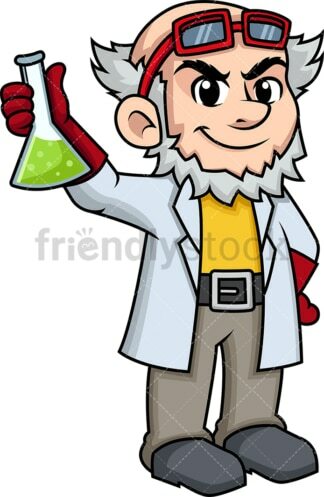 Royalty-free stock illustration of a mad scientist aggressively mixing two chemicals together. 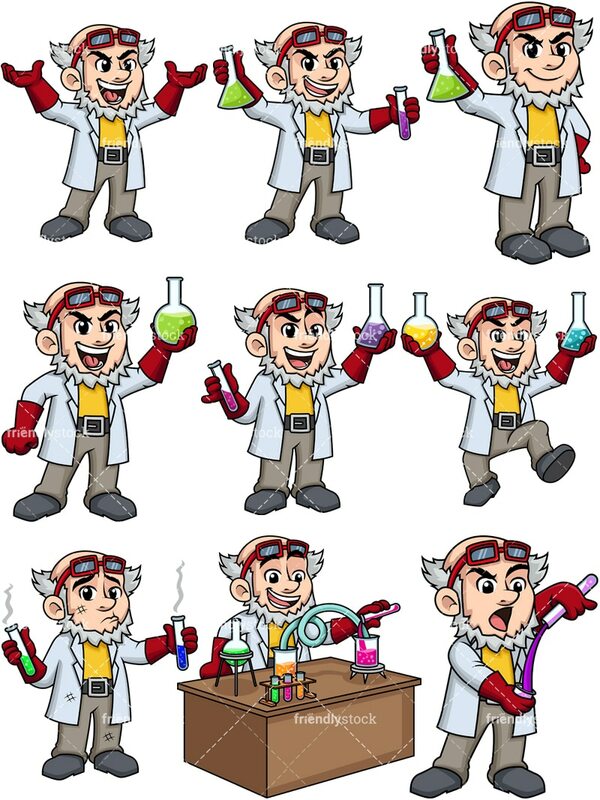 Royalty-free stock illustration of a mad scientist mixing chemicals in his lab while discovering a new formula – what an innovator!